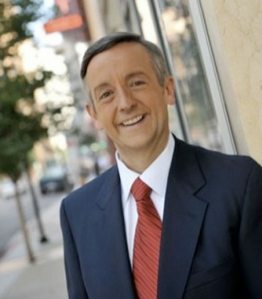 Pastor, and now self-proclaimed “prophet,” Robert Jeffress is more focused on scaring his flock to vote than he is in faith-building his people for the coming persecution. Once again we have a pretribulational pastor deceiving his flock. We have been down this road many times, so I will make it brief. Jeffress is reading the newspaper back into God’s holy Word. I have not heard his sermon on this, only excerpts, but I can guarantee you that this pastor did not take his people through biblical texts that actually teach the church will encounter the Antichrist such as Matthew 24, 2 Thessalonians 2, and Revelation 13. Instead, he sensationalized the “rise” of Antichrist. Then again, we will be “out of here before all of that messy stuff,” right?